Bulgaria is one of the two European countries that remain below the 3 % budget deficit. The rest of the countries stay considerably above the minimum required. This means that it obviously goes well with the Bulgarian economy. This you could see very well in the capital Sofia. There are new buses riding around and the new ring road of Sofia is urgently reconstructed. You also see full restaurants and crowded shopping centres, malls. These ones are built rapidly, each new one bigger than the last built. 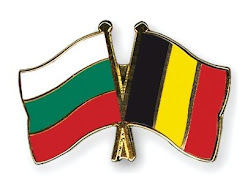 Manufacturing is Bulgaria is also a good business. Many Western European companies come here to produce their goods which they sale later back in the expensive Western Europe. This means hefty profits for the companies because Bulgaria is a low-wage country. And of course, Bulgarians also have some profit when Western European companies settle down here. 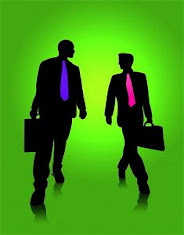 4. and even finding the right business partner for you, the one that is going to produce your products for you here. We have our own real estate agency as well as our own accountant office and our own recruiter and staffing office. For companies that wish to submit a grant application in Europe, we have our own company. All our contracts are being signed under the supervision of an independent legal company, namely Eisenberg Law Company’s branch in Bulgaria. If you decide that Bulgaria could be a safe new coast for your business then you can always contact us via email info@taxandlawconsult.com without any further obligation. We will gladly answer your questions in perfect English or Dutch. Should you decide to honour us with a business trip, we will take care for the accommodation during your stay and guarantee you an instructive visit of Bulgaria’s capital, Sofia, whereby you will be guided by one of ours expert city guides.